Norimat, laureate of the Grand Prix Inn’Ovations 2019! 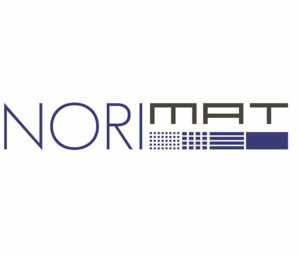 The young start-up Norimat, a spin-off of the CIRIMAT laboratory that is part of the Chimie Balard Cirimat Carnot Institute, has been awarded the Grand Prix Inn’Ovations 2019. This prize honours the development of a new fabrication process of high-performance parts for cutting-edge industries! Norimat is a start-up coming out of Cirimat, about whose success we have already written. Using Spark Plasma Sintering, the company has developed and refined an innovative process to fabricate complex parts in record time and with minimal loss of material. This innovation can be used in different industrial sectors such as aeronautics, space, defence, luxury goods. With this distinction, the company is off to a flying start in 2019! The presence of Norimat on the Carnot stand at the “Global Industrie” trade show (March 5–8 at LyonExpo) is the perfect occasion to learn more about their unique process. It’s at the end of Occitanie Innov, dedicated to innovation in Occitanie, that Norimat received the trophy Grand Prix Inn’Ovations from the hands of Nadia Pellefigue (a vice-president of the region). The trophy comes with a check of 45,000€, a financial lever to continue to innovate, and provides increased visibility! Each year the regional competition Les Inn’Ovations honours innovative projects in all sectors of the economy. With this programme, the Occitanie region and its development agency AD’OCC aim to accelerate regional dynamics and also promote a culture of innovation. From expertise to innovation, it’s just one step! WOULD YOU LIKE TO TAKE IT?